Former Valletta winger Alfred Borg passed away earlier this week. Old-time Valletta supporters are mourning one of the club’s greatest wingers of all times after it was announced that Alfred Borg – il-Wanis – had passed away. Borg, who also played for Malta XI, died on Monday. He was 77. During his career for home club Valletta, Borg played 171 competitive matches and scored 39 goals. His funeral will take place today at the Mount Carmel Church in Valletta, at 8am. Up to the late 1960s, when their role started to change, wingers were touchline-hugging players whose main responsibility was to supply crosses for the centre-forwards to score goals. In those days, wingers rarely ventured away from the touchline. They dribbled around opponents and ran down the line up to the corner flag before sending in perfect crosses inside the box where the centre forward wait to head home. Then, in the sixties, the role of the wingers began to change. They still played on the wings but were now encouraged to cut infield and exchange positions with their inside-forwards. They were instructed to dribble their way into the penalty area and, rather than being only providers, they were expected to score goals themselves. Many specialists graced the Maltese game in those days. The great Pullu Demanuele was certainly one of them. Valletta’s Borg also belonged to that category of players. Borg soon adapted to the new style of play and together with Joe Zammit – il-Ginger – mesmerised opposing defenders with his feints and dribbling for Valletta. His twinkling feet swept him past his opposing and bewildered full-back time and time again before putting over inviting crosses which simply cried to be connected. A Valletta FC product, Borg was born and bred in the capital. He started playing football around the streets of Baviera and it was not long before he was playing youth and amateur football for Valletta Vanguards and Valstars. From the start, his natural skills and finesse came to the fore and it was obvious that he was destined for a great future with his hometown club. Borg served his apprenticeship in the youth teams before making his first-team debut in 1954-55 against Floriana. It was a tough debut for the youngster but he came out of it with flying colours. Before long, the little winger became the darling of the City crowd. A fine dribbler and slippery as an eel with body feints that left opponents standing, he won the hearts of the supporters who appreciate a fine player when they see one. His ball control with both feet was exceptional and he had an uncanny smell for goals. 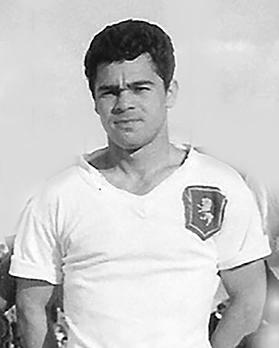 Borg soon established himself in the team and was one of the City ‘greats’ who won two consecutive league championships in 1958-59 and 1959-60. In 1962-63, he won another championship medal to add to his two FA Trophy medals. In addition, Borg helped Valletta win the Cassar Cup in 1958-59 and the Scicluna Cup in 1960-61 and 1963-64. He was picked to play for the full Malta XI on three occasions, which in my opinion, is a meagre return for such a fine footballer. Then, in 1964, Borg suffered a horrible face injury in a league match against Floriana and was sidelined for a long time. Il-Wanis returned in 1969 but by then he was nearing the end of his career, albeit his old magic was still there. Borg continued playing up to 1971 when he decided to hang up his boots after a long and glorious career donning City’s white colours.